Dassa stars as the main character in this Christian science fiction title. She comes from a race of incredible people with amazing endurance, physical stamina, telepathic communications, increased intelligence and deadly skills. Skills necessary to survival on the beautiful but very dangerous planet of Gannah. Dassa, the daughter of the toqeph, has trained and began a quest to become Nasi, part of a group of elites and a requirement to succeed her father. But when she returns from her quest, the unthinkable has happened. Her father has transgressed the decree of a toqeph made thousands of years ago and as a result, a deadly plague is released on the land, stalking each person until only Dassa herself is left alive. Dr. Pik is part of a rescue party hearing Gannah's interplanetary distress call. He synthesizes a cure for the plague and administers it to Dassa, curing her. Left as the only person of a mysterious and sometimes hated race, Dassa is left to make her own way in the galaxy. She must follow the heedings of her Yasha to go as He commands and stretches herself to the breaking point. Dr. Pik is an unlikely hero, awkward and a misfit in his own right - his Karkar blood tainted by an Earther father makes him one of a kind. He cures Dassa and is fascinated yet repulsed by her. She and her people were responsible for many deaths on his home planet of Karkar and that event shades every interaction he has with her. Their relationship is continually conflicted throughout the book, taking one step forward and two steps back. Dassa's religion is very important to her and is central to the story. Through her discussions with other characters, more information about her religion and "the story in the stars" is revealed. To the casual reader, this religious content is cleverly balanced out with Dr. Pik's unwavering and scientific thought process as he denies any interactions in his life have to do with the Yasha as he clearly does not believe in God. This book is suitable for most readers. There is no sexual content or language. There are a few fight scenes, but in general these are very mild and do not take up a large portion of the book. An excellent story that leaves you turning the pages so fast you'll get a paper cut. A satisfying conclusion, but in the end, the reader will be looking for a sequel – not because the story is unfinished, but because they are wanting more. "What suburbs? I'd call it wilderness." Yvonne Anderson writes fiction that takes you out of this world. A late bloomer, she didn't start writing until after her four kids were grown, and she didn't publish her first book until the age of 55. 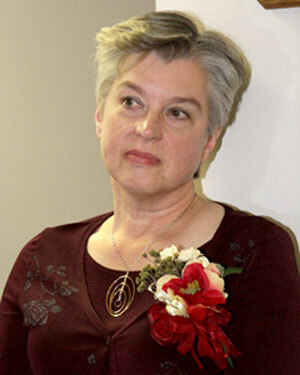 Anderson is best known for the acclaimed "Gateway to Gannah" science fiction series. 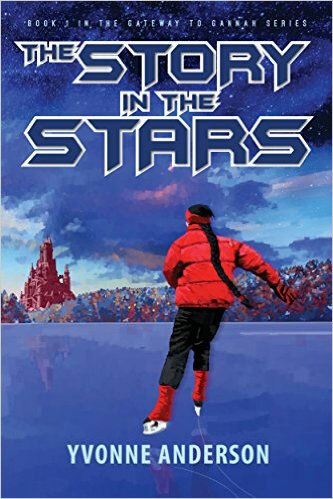 The first book in the series, The Story in the Stars, was a finalist for the American Christian Fiction Writers' Carol Award in 2012. The adventure continues with Book 2, Words in the Wind, builds momentum in Ransom in the Rock, and comes to a stirring conclusion in The Last Toqeph. Learn more about the series—and find links to all four titles—on Anderson's blog, Y's Words.